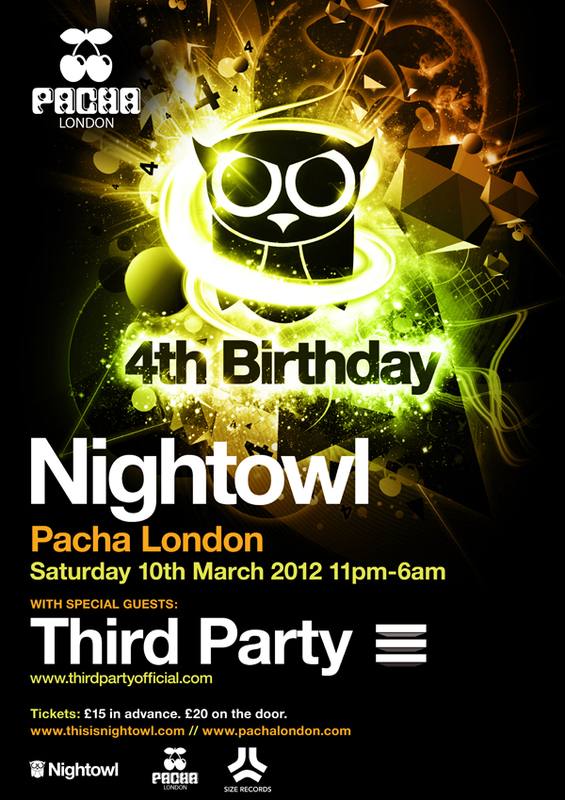 Which venue is Third Party holding it’s birthday party at?…. 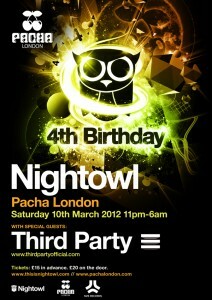 parties across the Capital with some of the biggest names in the business. in the air big room house beats. The fastest rising duo in House music, Third Party, will headline this land mark occasion. With their debut track “Duel” being picked up by Steve Angello for his Size records imprint and follow up “Feel” being tipped to be the track of 2012, these guys are destined for big things. Win Free G-list + Bar Tab (YAY!) @ Afterlove Warehouse Party w/ Luna City Express, Richy Ahmed + Special Guest….